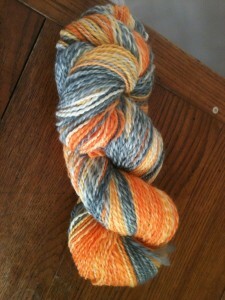 Ravelry, KALs, and Vendors; Oh My! We will be starting our first knitalong November 1st and it will end December 16th. This knitalong will feature any design by our teacher, Susan B Anderson. You can pick any of Susan b Anderson’s 236 designs (her new mini collection of ornaments is totally floating me boat right now). Raffle tickets will be given out at time of check-in at SSK. We will keep a master list of who has earned how many extra tickets. We can’t tell you yet what the raffle prizes will be, but we promise you won’t be disappointed! The prompt is meant to include any pattern written by them: free patterns, purchased patterns, or those that are included in their published books or e-books. You must post a picture of your FO in the ravelry group KAL thread in order to be eligible for any prizes or extra raffle tickets. Please tag your projects with SSK2013KAL1. You can KAL with as many projects as you like, but you can only earn raffle tickets on one project per KAL period. Don’t forget about using SSK Vendor yarn/fiber for extra points!